Inclusive interviewing means expanding your comfort zone. 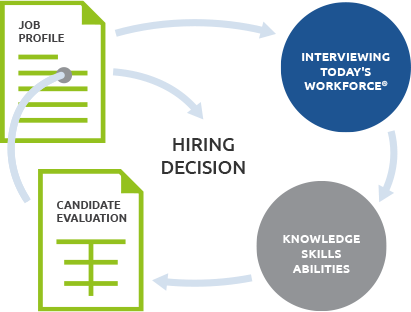 Interviewing Today's Workforce® covers the core content of Effective Interviewing!® and provides techniques to evaluate and hire an increasingly diverse and global workforce as part of your recruitment initiative. As interviewers incorporate and apply inclusive interviewing, they recognize their own cultural filters and unconscious biases, and learn how to assess each candidate for their unique skills and talents. 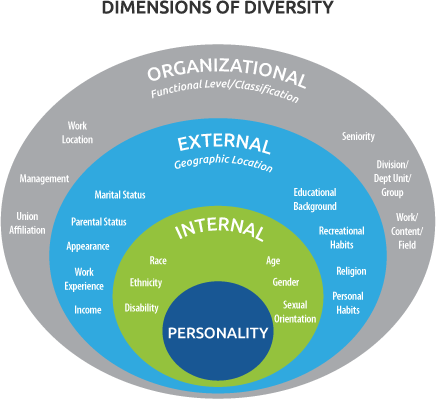 Keep assessments of candidates objective by understanding the impact of dimensions of diversity, and your cultural filters and comfort zone. Apply the Interview Funnel™ model to draw out and evaluate candidates to gain unbiased and repeated evidence of behavioral competencies. Learn how to make the best hiring decision using an objective and systematic process to increase diversity recruitment. 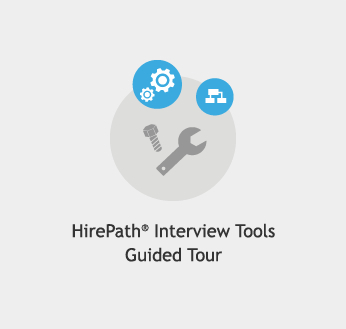 Learn how to make the best hiring decision using an objective and systematic process. This seminar to help with your diversity recruitment is available in full-day or half-day formats delivered onsite at your location. Understand the impact of today's changing diverse and global workforce while shifting from traditional interviewing to inclusive interviewing. Learn how to move beyond first impressions, and apply the high and low-context model to cultural and gender differences to be more objective in the interview process. 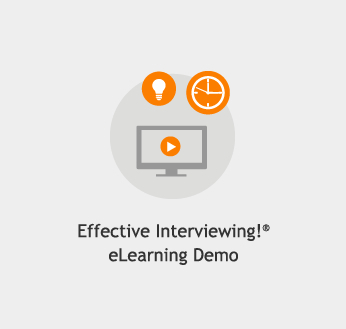 Identify competencies, and learn to conduct selection interviews using a structured yet conversational method of competency-based behavioral interviewing. Use a library of competencies to develop a specific Job/Candidate Profile that focuses on essential functions of a job and organizational culture of your company. Reduce bias by evaluating candidates against these consistent competency benchmarks. Build rapport with candidates, keep your questions legal, and reduce unconscious bias. Practice taking notes, and listening for evidence of competencies while the instructor conducts a live interview to demonstrate the Interview Funnel™ model. 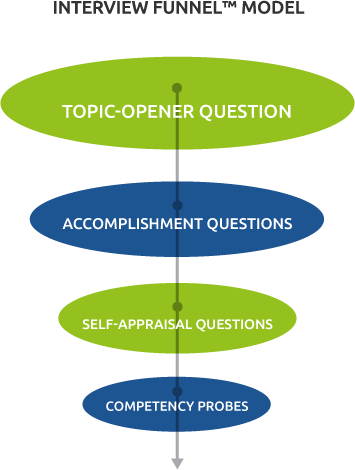 Assess competencies in candidates using a variety of inclusive questioning techniques, and develop your own set of questions. Apply what has been learned by participating in role playing while receiving feedback. Hundreds of examples of probing questions are provided. Code your notes and create a candidate Evaluation Balance Sheet that equips you with information to make the right hiring recommendation based on objective fit with a Job/Candidate Profile. "Interviewing Today's Workforce® opens up interviewers' minds to a broader range of candidates from a variety of cultures and backgrounds."